Diabetic nephropathy (DN) is one the most important complications of diabetes leading to end-stage renal disease. Dietary approaches have been considered to control of the kidney function deterioration among these patients. The aim of the present study was to determine the effects of fortified soy milk with Lactobacillus plantarum A7 on renal function biomarkers in type 2 DN patients. Forty-eight DN subjects were attended to this parallel randomized trial study. Participants were randomly assigned to consume a diet containing 200 mL/day probiotic soy milk in intervention group or soy milk in the control condition for 8 weeks. An inflammatory adipokine—Progranulin (PGRN), a cytokine receptor-soluble tumor necrosis factor receptor 1 (sTNFR1), and serum levels of Neutrophil gelatinase-associated lipocalin (NGAL) and cystatin C (Cys-C) as the new renal function biomarkers were measured after 8 weeks of intervention according to the standard protocol. 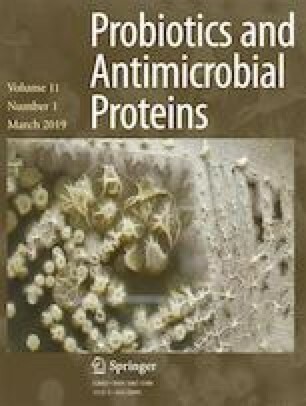 Our analysis showed that consumption of probiotic soy milk resulted in a significant reduction in the Cys-C and PGRN levels compared with the soy milk (P = 0.01) in the final adjusted model. In addition, after adjustment for age, weight, and energy intake, a marginally significant in the NGAL level was seen between two groups (P = 0.05). However, there was no significant differences on the sTNFR1concenteration between two groups (P = 0.06). Overall, intake of probiotic soy milk may have a beneficial effect on the renal function in patients with DN. The authors appreciate the financial support provided by the Research Council of the Food Security Research Center, Isfahan University of Medical Sciences, Isfahan, Iran.